Here at Heart Home magazine we are excited to announce that co-founder and co-editor Arianna Trapani will be hosting a Life coaching & Yoga retreat in Tuscany, Italy. Mark your calendars as the retreat will be taking place on 23rd-28th June 2019. This exciting experience in Tuscany is perfect to step away from your busy life, gain clarity and rediscover yourself in a fantastic environment nurturing your strengths away from the stresses of everyday life. 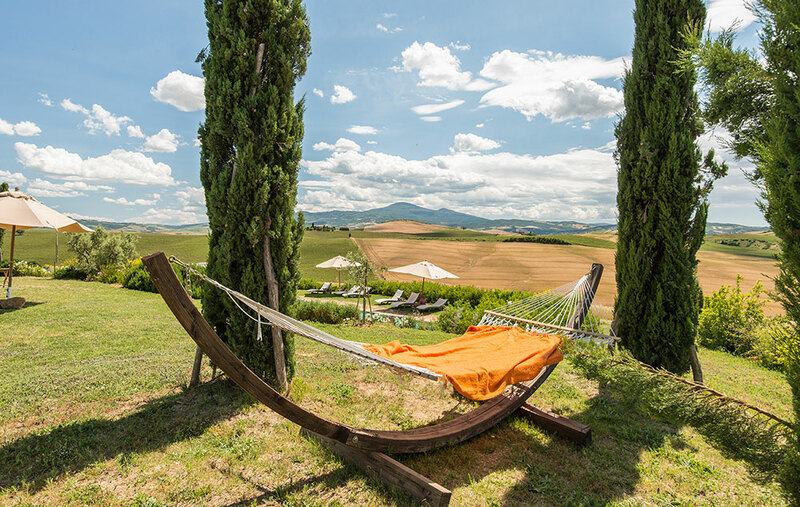 Jointly with the Yoga practice, this retreat will make you focus and absorb every little detail of this experience together with like-minded people , where you will live an authentic mindful Tuscan getaway. Enjoy colourful, healthy, cooked Italian meals by chef Caterina prepared with local and organic ingredients that taste amazing whilst we will cleanse ourselves from the inside out in the tranquil Tuscan countryside. This Experience will leave you feeling deeply relaxed, well nourished and with a bucket list experience under your belt. 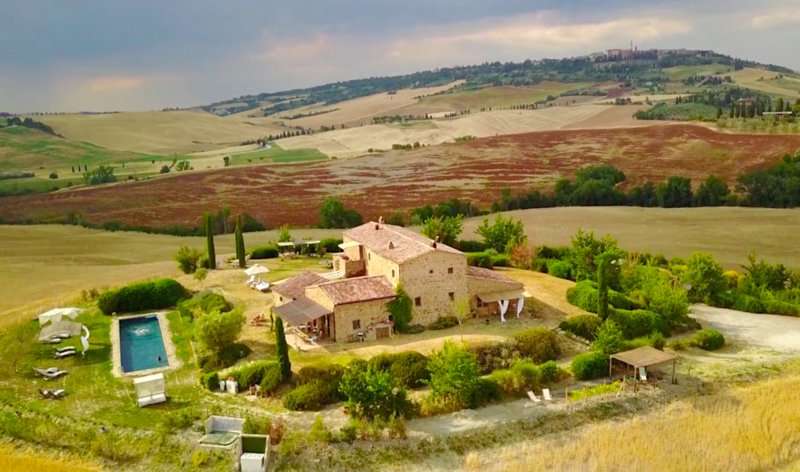 You will be staying at a luxury Tuscan shabby chic villa at the foot of the town of Pienza with all the amenities to ensure a relaxing and enjoyable experience. The long 18 meter heated pool paved with local stone and surrounded by beautiful and fragrant plants of agapanthus, lavender and white roses will be a focal point in our retreat. In between sessions you’ll have plenty of time for reading, taking a dip in the heated pool, sleeping, go for mindful walks through the countryside and the villa's scented gardens or simply being. For full information to experience this once in a lifetime retreat, click here for further details. You will not be sorry! Retreats are in collaboration with Experience Retreats. Magical festive steam train rides return to Staffordshire for their 23rd year, with Churnet Valley Railway offering the ultimate seasonal experience for all the family on the Santa Express. Santa and Steam will run on both days on the weekends of 1st-2nd, 7th-8th and 15th-16th December, on Wednesdays 5th and 12th December, and daily from Wednesday 19th to Monday 24th December. The full timetable and pricing can be found on the Santa and Steam website. Santa will well and truly have his work cut out this year as he welcomes children big and small aboard the train for an hour and 20-minute journey through the breath-taking Staffordshire moorlands. With on board entertainment for the children including balloon artists making festive creations for children of all ages and sherry and mince pies for adults, the 2018 ‘Santa and Steam’ event is a great mid-week or weekend family outing. On offer will be a splendid selection of mystery presents. Santa and his elves make their way through the carriages spreading Christmas cheer whilst giving each child a wrapped gift. The Santa Express departs from two stations, Froghall (ST10 2HA) and Cheddleton (ST13 7EE), both of which have tea rooms where visitors can purchase hot and cold food, including yuletide favourites such as Christmas Pie. Mementos including toys and a range of train-themed gifts can be purchased from the Signals Souvenirs shop at Froghall and a pop-up shop at Cheddleton. Ticket prices start at £17 for adults, £12 for children over two years old and £7 for children under two years old. A 10% group discounts is available on groups of over 20 passengers and groups of 6-8 passengers can book a private compartment for £30. 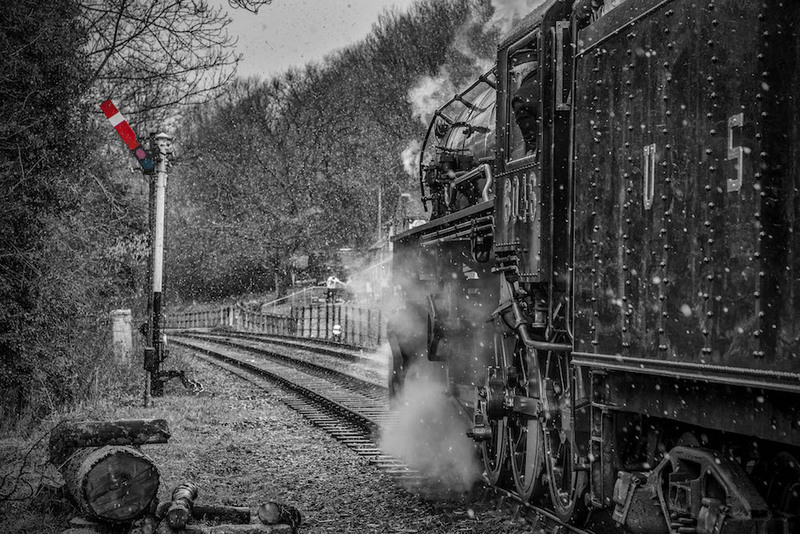 Churnet Valley Railway relies on a network of over 100 regular volunteers and there are opportunities to get involved over the Christmas period. This includes helping Santa and his elves with preparing presents, distributing festive refreshments, meeting and greeting passengers at each station and assisting with on-board duties. For more information, contact enquiries@churnetvalleyrailway.co.uk or call 01538 750 755. But what are the anticipated travel trends for 2019? We’ve picked the brains of some of The Luxury Travel Fair’s leading experts to see what – and where - will be big news in the year ahead. Tourists in 2019 are not going to be afraid to try something NEW. Holidays are getting more and more adventurous and this is set to continue, no matter their age. 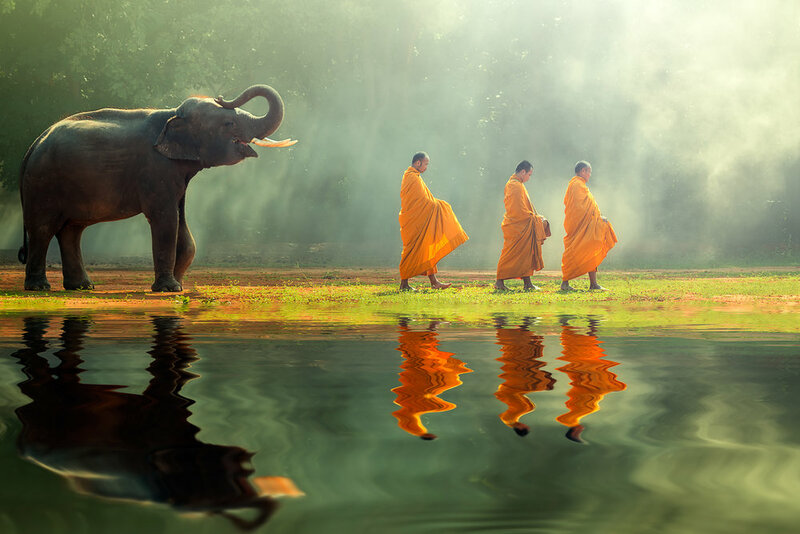 Nearly half (47%) of people surveyed by The Luxury Travel Fair said they are more health-conscious as they get older and therefore pick holidays with this in mind – choosing to take trips that improve their physical and mental wellbeing. Think yoga retreats, sporting activities and mindfulness camps. While tourists in 2019 are anticipated to want to stray from the beaten track, there will be a trend for wanting to do this in comfort. Mike Clay from Panoramic Journeys says: “We have seen a lot of interest in luxurious wilderness journeys; getting way, way off the beaten track where guests can connect with nature and lives far different from their own whilst still enjoying a touch of luxury. The reason why is travellers today have come to expect a certain level of comfort and cuisine but need to disengage from hectic lives. An experience like this, that gives the soul time to revive, is the perfect antidote to the ‘switched on 24 hours’ world we live in." Rather than sticking in one location more and more holiday makers are looking for trips where a key part of their time is spent travelling. However, 2019 is anticipated to be all about luxury travel with “an anticipated rise in luxury cruise and train travel” says Catherine Thake from The Luxury Travel Fair. Catherine Thake from The Luxury Travel Fair believes that Japan will be on top of many people’s list in 2019 thanks to the Rugby World Cup, as well as places like Madagascar, Namibia and Costa Rica for those keen to see wildlife and enjoy adventure. Closer to home, she thinks Slovenia, Puglia in Italy and Finish Lapland will experience a boom. Edward Paine, Director of Last Frontiers, specialists in travel to Latin America agrees. While he identifies Chile and Costa Rica as hugely popular in 2019 thanks to the introduction of non-stop flights (to San Jose and Santiago with British Airways), Edward anticipates the Galapagos and Antarctic cruises to sell very well. This he credits to the popularity of programmes like My Family in the Galapagos on Channel 4 and David Attenborough’s Blue Planet. The Luxury Travel Fair, the event that offers an unrivalled collection of the most immersive and tailor-made, luxury travel experiences on the market, returns to Olympia London Thursday 1st to Sunday 4th November. 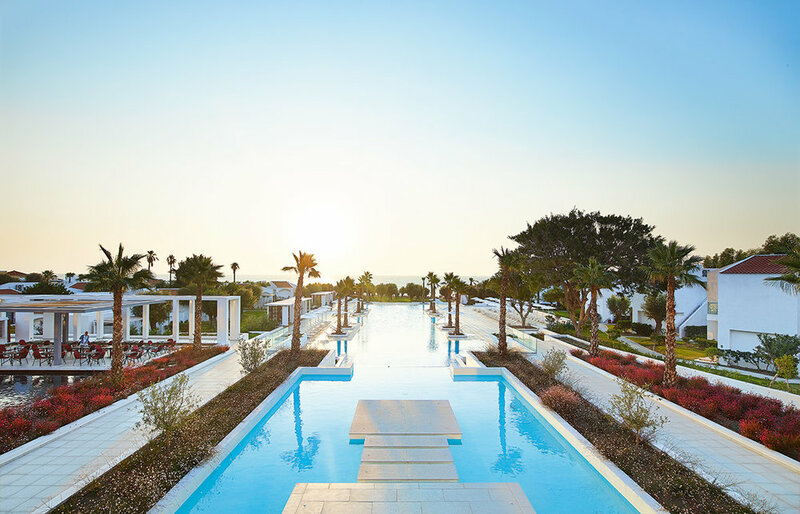 Brand new five star hotels are springing up across the Mediterranean, and now is the perfect time to book ahead to be the first to visit, and secure the best opening offers. Bespoke holiday provider, Sovereign Luxury Travel, has highlighted the hottest new openings that have now joined its hand-picked portfolio of luxury hotels and resorts around the world, in anticipation of travel next year. The new hotels include a property perfect for families, adult-only options, as well as new outposts from much-loved hotel groups like Ikos and Domes. Each new hotel has been carefully chosen by Sovereign for its character, exceptional facilities, and wonderful location. Sovereign’s dedicated team of Trusted Advisers are on-hand to provide a totally end-to-end and personalised service assisting each customer to find the ideal holiday for them, with the perfect luxury hotel, flexible flight options and memorable experiences all wrapped-in. 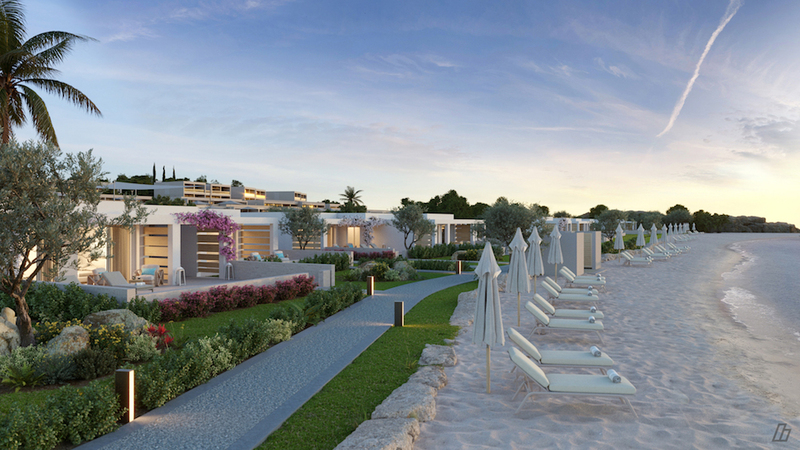 Opening in May 2019, Ikos Aria is the latest addition to the luxurious Ikos Group’s portfolio. With existing properties in Halkidiki and Corfu, this latest chic outpost will take up residence on the Dodecanese island of Kos. Offering the group’s unique Infinite Lifestyle All Inclusive concept, incorporating extensive activities, premium drinks and cuisine and dine-out at authentic local restaurants within the price, the hotel will be ideal for families and couples alike looking for their every need to be taken care of, while immersing themselves in local island culture. A chic adult-only hotel, the newly-opened Domes Miramare, a Luxury Collection Resort, is the latest five star addition from the group behind Domes of Elounda and Domes Noruz. On a golden-sand beach near Moraitika, it’s an ideal place for romantic breaks, with lazy days spent soaking up the sun. The property was originally designed by the Onassis family in the 1960s to host royalty and globetrotters from around the world and retains this glamorous feel. Guests can enjoy a range of spa treatments, yoga classes on the beach, on-site personal training sessions, boat trips and bike rides through the surrounding area. Opening in February 2019, Amavi Hotel will offer a brand new, five star adult-only hotel in Cyprus. It is the first Made For Two™ hotel by the award-winning Kanika Hotels & Resorts, offering couples unobtrusive and personalised holiday experiences for two in utmost privacy, designed to spark that honeymoon feeling. A short walking distance from Paphos harbour and centre, it is within easy reach of Paphos’ amenities, and also boasts four on-site restaurants, including the open-air roof garden, Immenso with spectacular views of the sea. The Half Board Premium offers a la carte dine-around at all four with an aperitif, premium bottle of wine and a digestive also included. Escorted tours are a hassle-free way for holidaymakers to explore Italy, and perfect for those who prefer not to drive or don’t feel confident navigating public transport. Leading Italian specialist, Citalia, has curated a small portfolio of escorted tours that showcase many of Italy’s highlights as well as hidden gems, all of which wrap-in transport and an expert English-speaking guide. Citalia’s escorted tours are small in size, with a maximum of 18 passengers per departure and a range of departure dates still available for 2018 as well as for those looking ahead to 2019. Options include tours taking in Sorrento and the Amalfi Coast, Sicily and the newest addition, Puglia. Citalia has been tailor-making holidays to Italy since 1929 and its collection of escorted tours is part of its extensive portfolio of Italian holidays that also includes a wide range of self-guided tours, fly-drive itineraries and multi-centre holidays. Whether travellers are looking to stay in two Italian destinations or 10, Citalia’s passionate Italy Experts are on-hand to curate the perfect bespoke trip for them. For more information on all of Citalia’s tours visit www.citalia.com/collections/italy-tours or call 01293 831 970 to speak to an Italy Expert. Located in Harrogate, Yorkshire, Restaurant 92 first opened its doors in November 2015. 26-year-old Chef Patron Michael Carr offers forward-thinking modern British cooking that celebrates the unrivalled flavours of the restaurant’s local produce. The chef’s young age - with the restaurant being named after his birth year - has been no barrier to his success and expertise. On the contrary, his experience, having worked with leading chefs including Gordon Ramsay (The Ramsay Group) and Alyn Williams (The Westbury), coupled with sheer determination and dedication, have earnt him exceptional skills in the kitchen, which are recognisable in the playful and yet classic make up of his dishes. With 50 covers and an adjoining wine bar called Bacchus, the restaurant has received glowing reviews and become a favourite amongst locals and tourists alike. 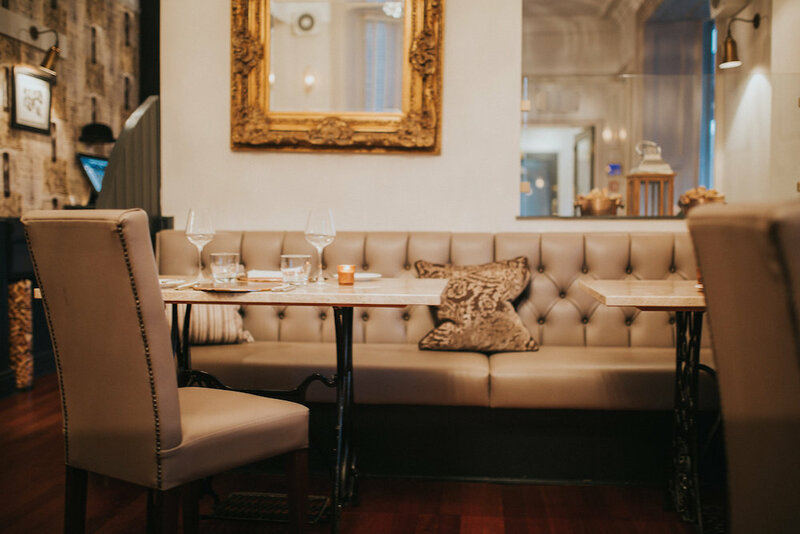 The restaurant’s concept, appearance and offering was born of a mutual passion for quality food in a stylish yet relaxed environment between Michael Carr and the restaurant’s owner, Ian Humphreys. On first meeting, the pair discussed Harrogate’s need for a restaurant that embodied both and fortunately, Humphrey’s had the perfect site in which to open Restaurant 92. Today the restaurant offers an a la carte menu, with a choice of four starters, mains and desserts. Sample mains include the signature dish - beef wellington – served on a wooden board (image above) and this is created using the finest aged Yorkshire fillet of beef with a crisp, flaky pastry and a rich, mushroom and red wine sauce served with pomme puree and garlic kale. Other dishes include wild halibut with mussel, courgette and hispi & air-dried Yorkshire duck with brown butter cigar, yeasted broccoli and celeriac. 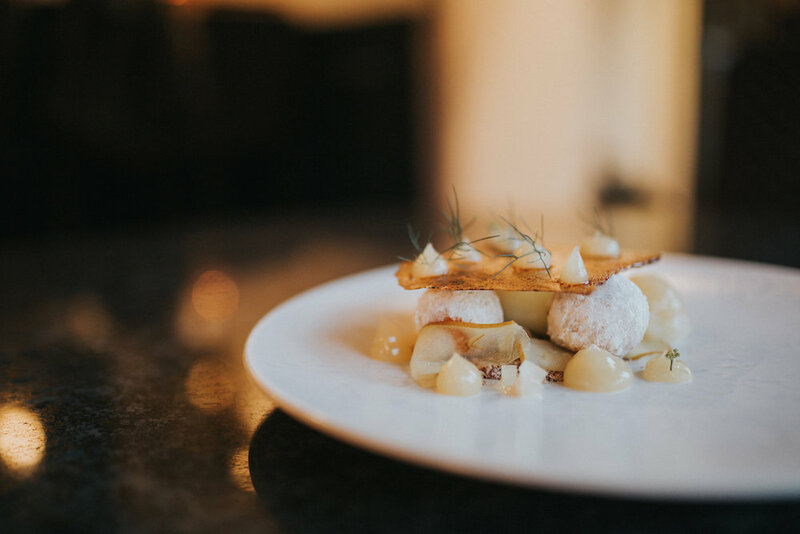 Two tasting menus are also available – one seasonal and one vegetarian – both offering ingredients sourced from within and around Yorkshire. A wine pairing option features handpicked international grapes from restaurant manager, Walter Tassa. With an impressive background within the hospitality industry, Walter Tassa was only 16 years of age when he completed his sommelier training and 20 when he first became restaurant manager of his parents Michelin-starred restaurant. He has the perfect palate for wine pairing and at Restaurant 92 demonstrates this perfectly in every service and at the monthly wine club. The pairings are chosen from the wine bar’s extensive cellar which is constructed by Ian Humphreys’ close friend and master of wine, Miles Corish. opted to keep the existing Victorian architecture intact while updating and improving the space where necessary. A full kitchen renovation was carried out and the restaurant now boasts beautiful marble tables, local artists’ work, exposed brick walls, hard-wood floors and leather upholstery. He has put Harrogate on the foodie map achieving the prestigious accolade of Harrogate’s Chef of the Year in 2017. Him and Ian Humphreys’ hold ambitious plans for Restaurant 92 and plan to continue growing Harrogate’s reputation for fine dining. Nathan Outlaw protégé, Tom Brown has opened his debut restaurant Cornerstone, located in Hackney Wick. The 46-cover restaurant showcases Tom’s own style of simple, clean and produce-driven cooking. 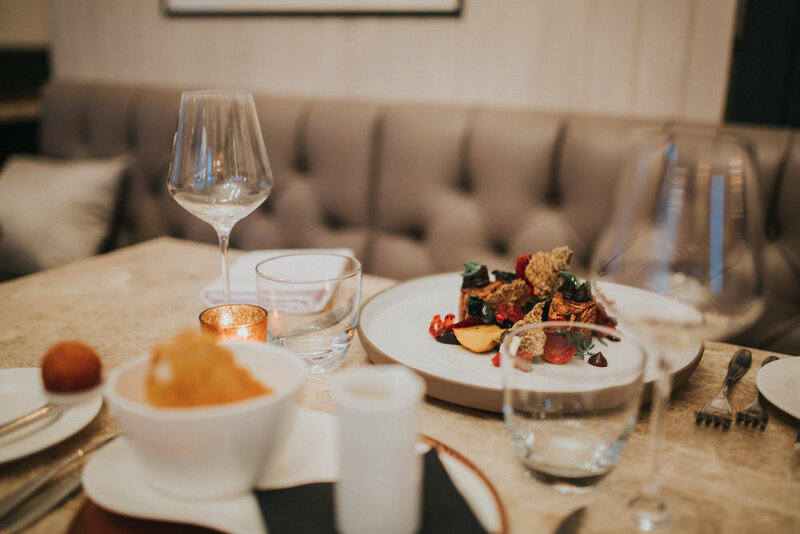 Named after Tom’s favourite Arctic Monkeys track, Cornerstone offers a flexible and regularly changing menu dependent on what ingredients are available - ensuring only the best of British produce is used. Designed for sharing, dishes are priced between £8-£14 and include: Raw mackerel with lime pickle, coconut yogurt and crispy garlic; Marinated squid accompanied by black pudding, blood orange and a brown butter dressing; Roast cod served with Café de Paris hollandaise; Ox tongue served with salt cod, tomatoes and gremolata; and for dessert Cornerstone’s pear crumble accompanied by Earl Grey ice-cream or Coffee ice-cream sandwich served with a banana, pecan and rum sauce. British cheeses and homemade pickles are also available. The short international wine list comprises 22 bins, with 12 available by the glass from £6, and bottles from £22 with a focus on natural, organic and biodynamic wines to complement the menu. The list has been carefully selected by Tom and the team who will work closely with suppliers to ensure the menu is kept exciting and relevant. Home infused cocktails are also available from £8.50, such as ‘One For The Road’ (Blood oranges, Red vermouth, Dewar’s 12-year-old scotch, Cherry) and ‘Fireside’ (QuiQuiRiQui Mezcal, Vine Leaf syrup, Egg whites, Lemon). These will be served alongside a good selection of local craft beer and bottled beers. Cornerstone have also partnered up with Cornish distillery, The Wrecking Coast to create a unique and bespoke gin available exclusively to the restaurant. Cornerstone’s gin is light and fresh with citrus tones, the perfect accompaniment to seafood. It has been distilled with cloudy apple juice from Polgoon Orchard in Cornwall rather than water and contains botanicals such as; Juniper, Coriander seeds; Liquorice root, Angelica root, Seville orange, Lemon, Lime and Rosehip. The Cornerstone G&T (Cornerstone gin, Apple, Samphire and Herbal Tonic) is the restaurant’s signature cocktail and priced at £8.50. 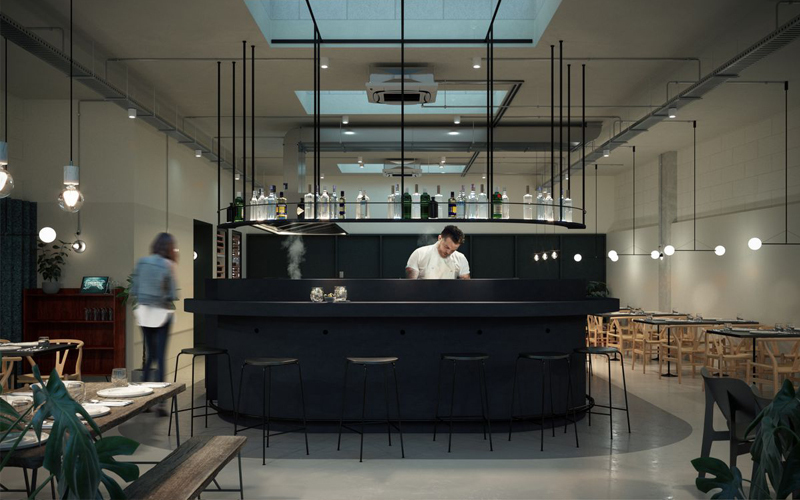 The interiors have been designed by East London based architects, Holland Harvey who have used a minimal approach to materials and lighting to create a bright and elegant space with a comfortable informality. The kitchen is situated in the centre of the restaurant and doubles up as a counter-bar, seating 11 guests. There are also additional touches personal to Tom including a 5000-year-old oak table, seating 10 guests commissioned especially after being salvaged from a river in Croatia. The lounge area at the front of the restaurant is furnished with high back benches from Ercol – perfect for a pre or post dinner drink. Your new life together has just begun! After you've said, "I do," why not escape to a dream honeymoon in Greece? Grecotel, the leading collection of luxury hotels and resorts in the country, has picked the most romantic destinations to make your honeymoon the once-in-a-lifetime trip it should be. Fall in love with blissful beaches, turquoise waters and five-star luxury on the island of Crete. Amirandes – Set amid palm-lined gardens, Amirandes is the perfect place to let romance blossom in paradise. 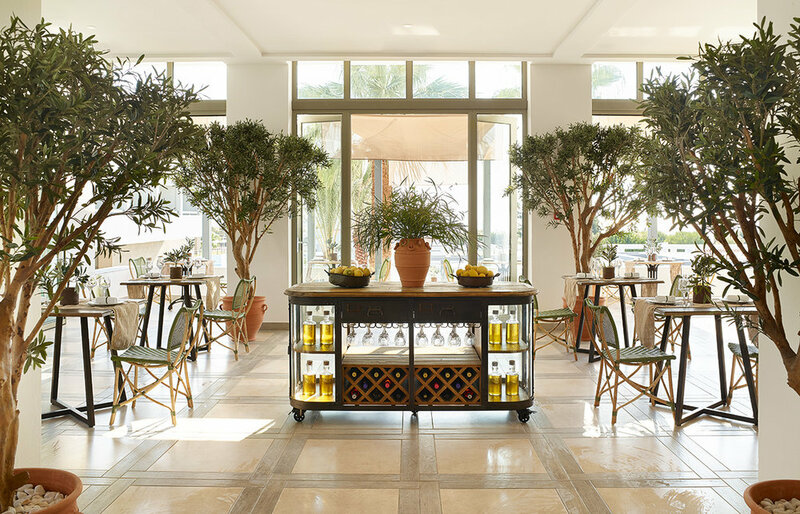 From the moment you check in as a newly-wedded couple, this exclusive Grecotel resort promises five-star service backed by the Cretan Riviera’s picture-perfect surroundings. All suites, villas and rooms feature designer furniture and endless sea views. The resort also offers a full line-up of entertainment for couples, from live music and dance shows, to pool and beach parties, to an outdoor cinema and a Cretan folklore evening. Heraklion, one of the world's most romantic cities, is just 20 km away. Toast your new life together with the Rose Garden Honeymoon Package, which includes a welcome drink, fine wine and fresh fruit in your room. Find your bed adorned with a special decoration of sugared almonds and rose petals. Enjoy a romantic breakfast on your shaded veranda before you soak up the sun by your private pool. Then, celebrate with a candlelit dinner under a starry night’s sky. Explore Corfu's cypress-studded hills, authentic villages and sandy coves. Corfu Imperial – When you want as much luxury as possible, look no further than Corfu Imperial. The exclusive resort is set on a private peninsula and provides peace in an unspoilt location, with Corfu Town only 12 km away. Regal villas feature interiors splashed in royal colours and hand-painted murals. Each villa overlooks the sea while shaded verandas lead you straight to the beach. To top things off, you can enjoy live entertainment, Michelin-starred cuisine and the option to sail away on the Ionian Sea. Pick from a sunset cruise or an on-boarddining experience. You can even charter a private yacht during your stay. Focused on romance, the Pearl Perfection Honeymoon Package includes champagne on arrival, bed decoration, a candlelit dinner and Melokarido – a Greek tradition of honey and walnuts symbolising the sweetness of life. A romantic breakfast will be served in your room the next morning. Spend quality time on Mykonos’ golden coasts, striking blue waters and lush green landscapes. Mykonos Blu – With top-notch service and laid back energy, Mykonos Blu creates an intimate retreat in which to indulge. 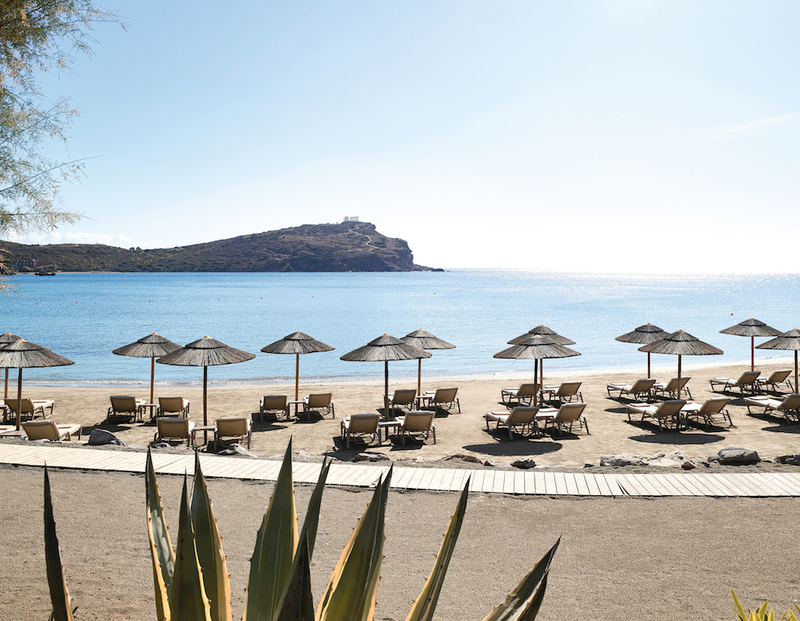 Tucked away on the famous Psarou Beach, the resort's whitewashed décor complements dramatic views over the Cyclades. What's more, a personal butler is at your service 24/7. For a once in a lifetime experience, spend your honeymoon in a divine villa with private pool and sparkling sea views. Relax with a massage, make the most of your private garden or float in a chromatherapy tub for two. Elixir Spa therapists can even arrange massages and beauty treatments in the privacy of your villa or outdoors by your pool. Complete your stay with the Orchid Symphony Honeymoon Package, which adds a 60-minute relaxing massage for two in the Elixir Alchemy Spa. Venture off the beaten track in the Peloponnese and soak up the complete luxury of the Aegean. Mandola Rosa & Aqua Park – Leave regular life behind for a deluxe honeymoon at Mandola Rosa & Aqua Park. The property's premium location is set in the Riviera Olympia Resort complex, which lies on a 500-acre wooded estate. The complex boasts the largest water park in a Greek resort, 20 restaurants and bars, and a multitude of loved-up facilities. Each apartment-sized beachfront villa has an extravagant ensuite bathroom (32 m²), wooden floors, a Jacuzzi bathtub for two, and a personal gym area. Other features include direct access to the shore, a private gazebo on Mandola beach, an outdoor fireplace and a private garden. Don’t miss a meal for two at Cap Voyage. The gourmet restaurant blends fresh local ingredients with cosmopolitan cooking methods. The Over the Moon Honeymoon Package adds breakfast in your villa every morning, a private beach gazebo with full service every day, one 4-course candlelit dinner for two and a romantic dinner on every wedding anniversary. Discover Attica for swimming, shopping, seafront dining and dancing the night away. Cape Sounio – Overlooking the mythical Temple of Poseidon, Cape Sounio is dedicated to making your honeymoon truly unforgettable. Bask in a bath filled with scented water, flower petals, bubbles or aromatherapy oils while the mood is set with candles, music and lighting. Nourish your body and soul with an Ayurveda treatment while you admire landscaped gardens and a sea view forest. With every detail of your honeymoon arranged, your hardest decision will be whether to relax together by the sea, enjoy an in-villa massage, make the most of your gorgeous private garden or float away in a Jacuzzi tub at the spa. Special Offer: Couples who celebrate their wedding at Amirandes or Cape Sounio will receive a 20% discount on honeymoon packages. Find out more about Grecotel’s honeymoon packages here. With the inclusion of Alexandra Hotel, the Curio Collection by Hilton has 40 hotels. It is a group of carefully selected independent hotels that, due to its distinguishing features and its savoir-faire offers an original local taste and a cosy atmosphere to its guests. Gracing the heart of the city of Barcelona, between Rambla Cataluña and Paseo de Gracia, Alexandra Hotel, with its 30 years of history, knows how to capture in its continuous renovations, the local taste of the city of Barcelona thanks to its meticulous interior design and its different gastronomic proposals. A cosmopolitan hotel committed to transmit the avant-garde spirit and the style of life of the people of the city. In Alexandra Hotel we can breath Barcelona. From the breakfast proposal with local quality products such as cold cuts, and Catalan specialties like pà amb tomàquet and homemade traditional sweets, to the selection of some designer furniture. Tradition and avant-garde live together in harmony in this hotel where you will be exquisitely treated and which makes his guests and visitors feel at home. Its 116 rooms, constantly renovated, show off this original local taste and the perfect symbiosis of tradition and modernity. Many of them with the prized hydraulic floor tile and modernist coffered ceilings, live together with carefully selected auteur design pieces. The gastronomic proposal of Alexandra Hotel is based on the concept of meat by weight from Solomillo Restaurant, specialized in quality meats. A selection of meats sourced from different cattle breeds depending on the season, served to the liking of guests depending on how they like it cooked, served and what garnish they prefer. High quality raw materials in an atmosphere with design furniture and lighting with reeditions of iconic pieces of Spanish design make the cosy staging of Solomillo. La Charcutería, the other gastronomic space of Alexandra Hotel, goes for Iberian and local cold cuts and quality cheeses, with more than 25 references from more renowned cheese makers of our country. The recent incorporation of Patio, the renovated outdoor space of Hotel Alexandra, allows enjoying relaxing moments outdoors in the city centre. A patio garden terrace in the Eixample neighbourhood, adapted to all seasons, where you can taste different gastronomic proposals from Alexandra Hotel. Its impeccable landscaping, with its lush vegetation, by the pool, makes this space a warm and really cosy space in the hustle and bustle of the city. Alexandra Hotel, Calle Mallorca, 251, 08008 Barcelona. T + 34 934 677 166. Prices from €160. Give yourself a boost this January with Mindful Chef. Say goodbye to the stodgy carbs and join 600,000 other diners in eating and living the Mindful Chef way. From £4.50 per meal, Mindful Chef deliver everything you need to make delicious, low-carb evening meals. Each imaginative recipe is gluten-free, dairy-free and made using locally sourced, fresh produce. Lying just off the Turkish coast, you can find Samos situated in the East Aegean sea, an island with so much history and beauty that will captivate you from the moment you descend. The island is the birthplace of Queen of the Greek Gods Hera, Greek philosopher and mathematician Pythagoras, the philosopher Epicurus, and the astronomer Aristarchus of Samos, the first known individual that suggested the Earth revolves around the sun. Not only is Samos rich in history but it is also known for its sweet local wine. Proteas Blu Resort, in Pythagorio. This 5 star adults only resort is perfect for a relaxing and romantic getaway. Overlooking the sea, it is a very calm and quiet place. Rooms are spread out on mediterranean landscaped terraces situated on a natural secluded bay, offering two beautiful private beaches. And if that wasn’t enough you can have your own private pool overlooking the mesmerising view. Yes, be prepared to be thoroughly spoilt indeed. When an island is that enchanting it’s hard not to play Robson Crusoe. Explore the lively capital, Vathy. 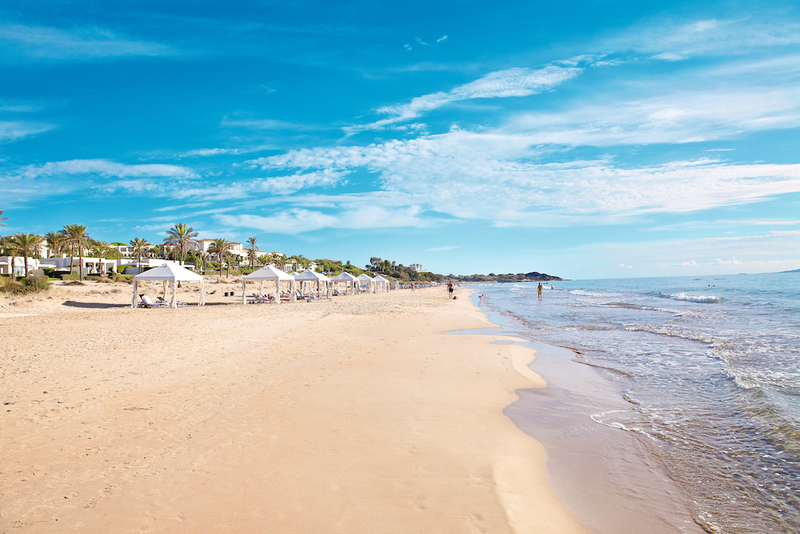 Full of cute picturesque streets overlooking the sea and plenty of cool cafes to choose from. One of my favourites was cafe Ettikaipo, a cute coffee place just off a side street from the main square. Delicious ice coffees and teas to keep your cool in the blistering heat. After, head to the Temple of Hera, an ancient sanctuary dedicated to the Queen of Gods. Another highlight not to be missed is a visit to the monastery of Megali Panagia. Here there is an ancient cave where it is believed that mathematician Pythagoras was hiding from persecution and also taught his followers. Highly recommended is a fun picnic boat trip where you set off from Pythagorios port, organised by Samos Travel Services. First stop is the small island of Samiopoula on the southern coast and then onto Klima beach where you'll relax and enjoy a delicious barbecue. If you are ever in Samos then this is definitely something worth doing. After, head back to Pythagorios, a pretty town with side streets that are just so eloquently charming with typical Greek colours and the prettiest of doors. It is also the home to the remains of Likourgos Castle, a spectacle to see! There you'll find yourself on the edge surrounded by history and looking at the breathtaking sea. Take a walk back along Pythagorio Port to have dinner at Elia, highly recommended for delicious dishes to share. If you’re looking for a holiday destination and want a place that is interesting, rural and full of beautiful beaches then Samos is the island for you. Please note that I was invited on this trip by Discover Greece, Proteas Blu Resort, Sofitel Hotel and Aegean Airlines – who have three direct daily flights from London to Athens all year-round and on to Samos as well as more than 30 more Greek destinations. Boat trip was organised by Samos Travel Services. Munich, August 2017 – If you visited a city but never hashtagged it, were you ever really there? Holidu, the leading global search engine for holiday lettings, has uncovered the Top 10 Most Instagrammed Cities in the UK as of August 2017. While the usual suspects made the list, some cities – and their rankings – may come as a surprise. London’s calling! And it says what most British may already know, London is the most famous city when it comes to hashtags! With more than 80 million hashtags, it is not only taking on 1st place in the UK, but also making it on top of the Top 10 ranking in Europe, even overtaking Paris, the city of love. Popular hashtag hotspots of the city are for example; the Big Ben (2,622,383 hashtags), the London Eye (2,056,034 hashtags), and the Tower Bridge (1,305,010 hashtags). It seems like Prime Minister Benjamin Disraeli was right when he said, “London is a nation, not a city”. In a battle of football cities, Manchester – only ranked the 7th place when it comes to population in the UK – narrowly took second place over Liverpool, with more than 7.7 million hashtags. But of course, there is more to see than just football in Manchester. For example, the National Football Museum (6,754 hashtags)! Beside that, the John Rylands Library offers not only many beautiful books to read, but since, as many “Potterheads” may already know, the library was once used as a set for the Harry Potter films. Looks like the 9,846 hashtags are not only coming from historians and bookworms. Another football city made it into the Top 3! The Liverpool FC ensures that the eponymous town ranks 3rd place, narrowly over Edinburgh, with about 5.6 million hashtags. The Liverpool FC itself counts 875,222 hashtags – not taking the number of #anfield (449,037), football stadium and home of the Liverpool FC, or the #liverpoolfans (41,257) into account. Did you know that Edinburgh only counts about 500,000 inhabitants, but over 3.5 million visitors each year? The 4,777,632 hashtags of the city will give you a few hints why visitors and travellers from all over the world, are so in love with the city. The capital of Scotland gives them an idea of how Old Scotland had been like. Being built atop a series of extinct volcanos, the city offers a lot of photography potential for bloggers, instagrammers and photographers. Hotspot of the Edinburgh hashtags is the Edinburgh Castle, with about 260,000 mentions. “Life is good at the beach” – this also applies to Brighton! Thanks to its beach and the high amount of young people living here, Brighton counts 3,797,233 hashtags – and with that, closes the Top 5. You may see that Brighton, moreover, is “the unofficial gay capital of the UK”, as once called by the Metro, when you search for hashtags like #brightonpride (58,834). Another Scottish city made it into the Top 10! Concerning the population, Glasgow is on third place in the UK. However, when it comes to hashtags, the largest city in Scotland only narrowly misses the Top 5 with 3,698,413 hashtags ever used. Most used hashtags, except for #glasgow, are: #glasgowuni (23,644) #glasgowlife (31,863) and #glasgow2014 (71,049). Why Glasgow 2014? Because in 2014, Glasgow hosted the 2014 Commonwealth Games, which was the biggest sport event ever held in Scotland. The second largest city in the UK takes 7th place in the hashtag ranking! With its six universities, a living nightlife, and many other sights, it is clear why Birmingham counts 3,442,330 hashtags. Being the fourth-most visited city in the UK by foreign visitors, might also help. Fun fact: the hashtag #birgminghamhair has been used 31,941 times. The best city to live in Britain counts 2,928,246 hashtags and with that ranks 8th place in the Top 10. Seems like, people really love the city of bridges and balloons and wants to share it with the whole world! The number one tourist attraction in Bristol, the SS Great Britain, is a great spot for instagrammers (11,562 hashtags) as it is a museum coming to life. The old steamship was the longest passenger ship from 1845 to 1854 and now is museum for anyone interested in the old Victorian age. You may even have your wedding celebrated here! If you ask Instagram, the most famous sight in Leeds is the Leeds festival. With more than 110,000 hashtags, #leedsfest is the most used hashtag in Leeds. Leeds itself counts 2,786,406 hashtags and ranks 8th place in the Top 10 most instagrammed cities in the UK. Other hashtags used, are #leedslife (82,100), #leedscastle (55,855) and #leedsuni (32,451). Thanks to the very cute Yorkshire Terrier, York is probably the most surprising city in the Top 10 ranking. While scrolling through the posts containing the hashtag #york, you will understand how a city, that only has about 200,000 inhabitants, was able to make it into the Top 10 most instagrammed cities in the UK. Most of the pictures using one of the 2,492,468 hashtags “york” are showing the Yorkshire Terrier. Glynde Place in East Sussex has been crowned the winner of the 2017 Historic Houses Association (HHA) Restoration Award, sponsored by Sotheby’s. The Restoration Award recognises and celebrates the work being undertaken by Members of the HHA throughout the United Kingdom. These projects reflect the dedication of owners to the care and sympathetic restoration of the incredible buildings that they own, inhabit and share with the public. Owned by the same family since it was built in 1569, Grade I listed Glynde Place is today the family home of Francis and Caroline Brand (Lord and Lady Hampden) and their three children. The house sits at the heart of a modern estate which offers residential and commercial properties as well as weddings and concerts. The building has developed with each generation, however upon inheriting the house the family were met with the stark reality of a large house divided into distinct areas, some of which were neglected, damp and unsuitable for use a family home. The Brands set out to restore this beautiful Elizabethan mansion to its former glory as a lived-in home, to conserve the historic fabric, integrate modern services, and create an event and visitor area. A specialist team created a new entrance hall, now full of family photos and evidence of everyday life, with a “Great Door” that sits behind the original medieval oak door which was repaired and retained. Two unstable curved window bays, which on occasion sent glass crashing to the ground, were rebuilt. Structural repairs were undertaken and damaged Elizabethan stained glass was sent to a specialist conservator. Additionally, the Gallery ceiling was restored to its former glory using original materials and traditional methods. As well as preventing this house from falling into further disrepair, creating a homely environment for the family, and enabling the general public to experience and use the space, the project has led to numerous opportunities for study by scholars and apprentices. Overlooking London’s historic Borough Market, Arthur Hooper’s restaurant and bar has launched a new weekend brunch menu. Victorian Arthur Hooper was a charming fruit salesman, who once occupied 8 Stoney Street. Recently derelict, the building’s historical ties to food and the local community have been lovingly restored. Chef Lale Oztek’s selection of European plates are inspired by fresh nutritious ingredients and flavours. The delicious weekend brunch menu features toasted homemade brioche with Cornish clotted cream and a morello cherry jam, baked egg on an aubergine parmigiana, pure sizzling pork sausages and a delicate hot smoked salmon pate with poached eggs and sourdough toast. All of Arthur Hooper’s ingredients are sourced from the local market and London based suppliers including Cannon & Cannon, Bread Ahead and Androuet. Seasonal specials will also be made available throughout the year. 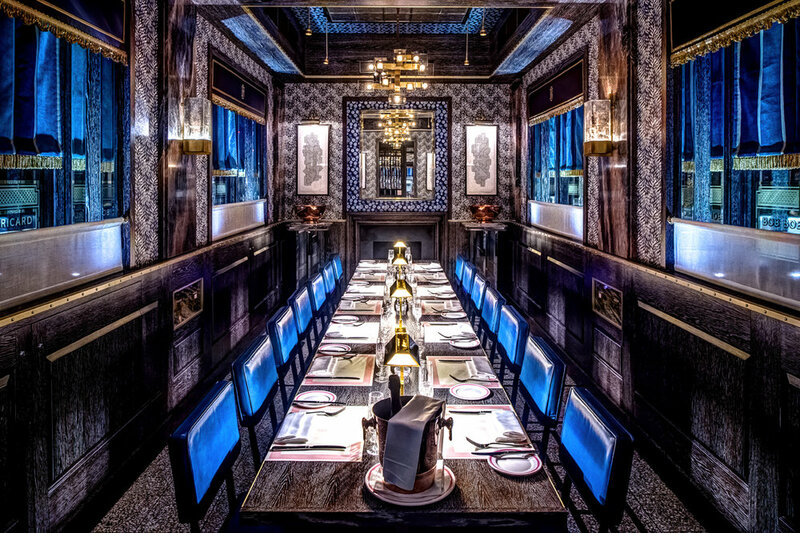 The 51-seater restaurant has been designed and exclusively handcrafted by Buster + Punch. Featuring a rough jewel box interior, the design draws inspiration from historic city markets and cobbled city streets. 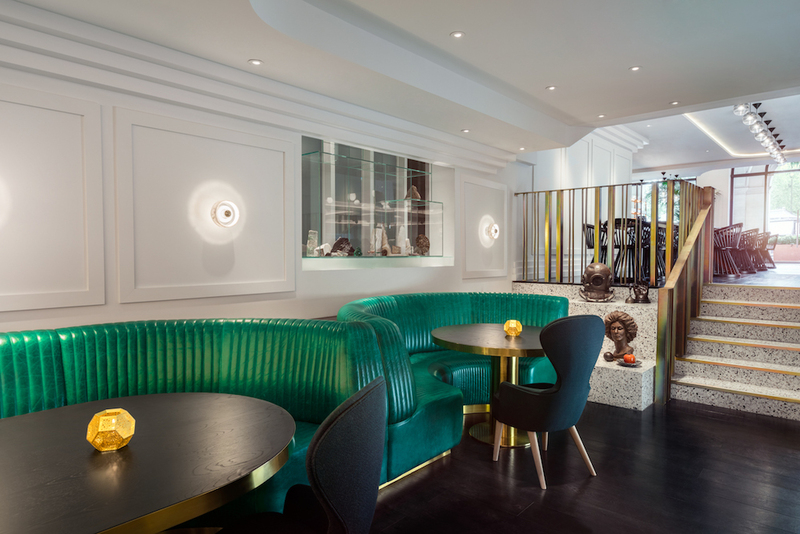 Finishing touches include crafted steel caged light fittings, a custom hexagonal concrete floor and artworks by acclaimed artists Matt Small and Dan Hillier. The outdoor terrace area allows guests to enjoy dining on the newly pedestrianised Stoney Street. Here guests can watch people go by and catch all the daily action from Borough Market traders. With stunning views overlooking Borough Market, this secret space on the first floor of the restaurant, makes for an exceptional room to host special occasions, events or corporate engagements. For unique experiences, the team can arrange private wine tastings and foodie events. One of the world's fastest growing tourism destinations, Ras Al Khaimah boasts a 7,000 year-old history, an array of archaeological sites and varied natural vistas, from golden beaches, terracotta dunes and a green belt of date palms to Jebel Jais, the highest mountain in the UAE. Saddling up in the early morning or late afternoon is an exciting way to discover the desert landscape of Ras Al Khaimah. The Al Wadi Equestrian Centre provides visitors with guided horse treks through 500 hectares of unspoilt nature. Keep your eyes open for sand gazelles, Arabian oryx and, if you’re lucky, desert foxes and wild cats. Ras Al Khaimah’s clear night skies come alive in the Al Wadi Nature Reserve with constellations, stars and planets offering a truly mesmerising experience for seasoned astrologers and amateur star gazers alike. Available through Al Wadi Desert, Ras Al Khaimah, a Ritz Carlton partner hotel, the introductory star gazing sessions cover the history of how Arabian explorers used the formations to navigate vast spaces. There is no better way to cool off this summer than taking to water. Ras Al Khaimah’s pristine coastline provides the ideal setting to explore, relax and partake in various water-based activities. Surrounded by white beaches and serene natural lagoons, Al Hamra Marina & Yacht Club offers the perfect day out with a wide range of activities regardless of experience, including sailing, diving and wakeboarding. Relax and rejuvenate in the tranquil environment of this award-winning ‘underwater themed’ spa. The Afternoon Tea facial, an anti-aging treatment designed exclusively for Waldorf Astoria Ras Al Khaimah, stimulates cell rejuvenation. As well as numerous other treatments, the spa has a variety of facilities including male and female steam rooms, a floatation bed and Waldorf Astoria's signature herbal sauna. Be immersed in the culture and heritage of the UAE’s most northern Emirate at the National Museum of Ras Al Khaimah. The museum is filled with archaeological, historical and ethnographical objects, partly donated by members of the ruling Al Qasimi family and residents of Ras Al Khaimah. This former fort was originally designed as a defensive structure to fend off the British during the Arabian Gulf Campaign between 1809 and 1819. The building was re-opened to visitors as a Museum in 1987. Whether you’d like to start or end your day energising your mind, body and soul, Sunrise or Sunset yoga sessions at Al Wadi Desert enable you to heighten your senses, flexibility and inner zen. Suitable for all levels and abilities, the sessions are the perfect way for yogis to connect with Arabian nature amidst the terracotta sand dunes of the Al Wadi Nature Reserve. Sunrise yoga features a sequence of yoga poses bound into a continuous movement known as “Sun Salutation Yoga,” while Sunset yoga combines meditation exercises and yoga poses with several relaxing techniques. Discover the fascinating Emirate in its entirety with luxury tour company Safarak Tours. Meaning ‘Your Travel,’ Safarak provide smooth explorations across the region, from traditional sunset picnics on top of the UAE’s highest mountain to tours through Ras Al Khaimah’s infamous ‘Ghost Town,’ Jazirat Al Hamra. Select from an extensive range of tours or customise your own.